Fitted internally on window or door openings, our elegant grilles are tested to Loss Prevention Standard (LPS) 1175 to offer a formidable second line of defence. The grilles are fully retractable and equally suitable for domestic, retail and commercial applications. Grilles are available in a wide range of RAL and BS colours and when fitted offer a visible deterrent at the same time as combining strength without being obtrusive. Designed to keep intruders out, our extensive range of retractable security grilles still allow enough light into an area so potential customers can still view items in store. We can strengthen any type of window from a small ventilation casement to patio doors on domestic properties, commercial entrances and shop fronts. 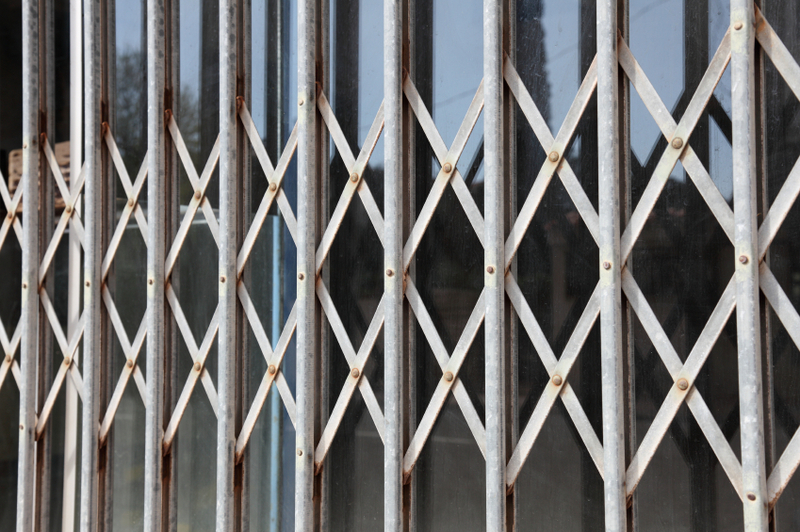 However, glass can always be broken with force so we offer a range of security grilles to Secured by Design standard. 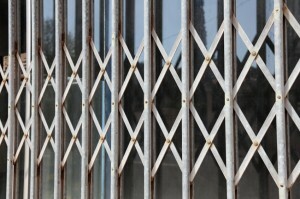 Security bars and grilles do not have to be obtrusive in order to protect your premises. We have a vast range of products that are both practical and efficient. The award-winning SeceuroBar system features anti-cut steel bars which are securely locked into position to protect vulnerable window openings, but can be released from the inside to allow total vision or maintenance of windows. Suitable for installation in a horizontal or vertical format, SeceuroBar is finished to a high standard and delivers security which is quick and easy to install, yet highly effective in a range of locations. A higher security fixed bar system is also available for locations where removal is not a requirement. Alternatively SeceuroGuard can be manufactured in a non-retractable format. Insulated roller shutters doors suit a wide range of applications from small security shutters to large warehouse openings IRS meets today’s architectural demand for aesthetics, reliability, performance and safety in use. It has been designed to withstand 20m/sec wind generation (745wpa) pressure and special designs can allow for higher wind loads. IRS doors cut down energy waste due to heat flow through and around the door curtain. The sides are weather stripped with twin vertical brush seals on both faces of the curtain, and a rubber seals the bottom panel to the floor. The door brackets are multi drilled and mirror imaged for easy sit-on installation, all the head plates are finished in BZP with slot adjustment fixing. Theam’s IRS doors are custom made to fit any openings and are available in galvanised steel, plastisol coated or powder coated to suit any project regardless of its complexity. Contact us now for a quotation on any of our physical security solutions.